Black Leopard, Red Wolf is nothing like Game of Thrones. You might say that Black Leopard, Red Wolf is to Game of Thrones what Game of Thrones is to Harry Potter - but the truth is that it's operating in a different sphere. The first book in Marlon James' Dark Star trilogy does not allow for lazy reading. It is dense, delirious, expansive, and compelling, spinning African mythology into dark, violent, embodied writing. If you've found popular fantasy lacking, in its writing or in its conventions, this may be the book you've been waiting for: assured, capacious, adult fantasy. I still don't quite know what to make of this book, and that, I think, is exciting. Space opera like you've never seen it before. Becky Chamber's excellent debut novel represents a broader shift in the narrative priorities traditionally associated with science fiction. It revels in character rather than action (though there's a fair bit of that too), and develops an episodic slice-of-life quality in an thoughtful, well-drawn universe. The Long Way to a Small, Angry Planet is a great place to start or develop your relationship with sci-fi, and it's the first in a series of three tangentially related novels. This is one to read, savour, and throw to your friends. Boys Swallows Universe takes you deep inside 1980’s Brisbane underworld. Eli and August Bell are remarkable boys, with knowledge and courage well beyond their years. Dalton beautifully contrasts what is an incredibly difficult and violent upbringing with an overwhelming sense of loyalty and love for family and friends. Each character is wonderfully thought out, all with their own unique adversities to overcome. A crime novel where the ‘bad guys’ are actually the good guys, and in the end, the good guys will always win. This book is truly gripping, one I really didn’t want to end. My favourite book of 2018! This book is without a doubt, one of the quirkiest books I have read in a long time. Keiko is a middle aged Japanese woman who is unmarried, has no children, and has worked at the same convenience store for the past 18 years. She tries hard to change her lifestyle to fit with the 'normal' Japanese woman, however fails repeatedly. The writing is full of dry humour and pushes boundaries of what is socially acceptable. Murata crafts the perfect novel for anyone who has ever felt like they just don't fit in. The conclusion she reaches is that being happy and comfortable is far more important than being normal – a message I think everyone can do with being reminded of. 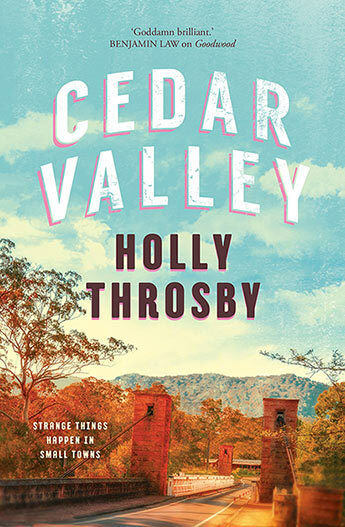 Holly Throsby’s ‘Cedar Valley’ is fantastic. Benny Miller knows very little about her mother. With her recent passing Benny moves to Cedar Valley in an attempt to uncover more of the woman’s mysterious and intriguing life. On the day she arrives in town, an unknown man dies in the Main Street. An investigation begins, and the town work together to find missing pieces to solve the puzzle. The mystery of Benny’s mother and the unidentified man run parallel throughout the novel. Through many twists and turns Throsby weaves these two stories together, eventually coming to an excellent and unexpected ending. In these times of Trump's ‘fake news’, this is an eerily relevant and sobering story of how self-deception can so easily lead to the deception of others. Flanagan weaves his fascinating story against the backdrop of the life of a writer, his family life and struggles, friendships and the powerful and controlling influence of a con man who moves all the goal posts. Normal People is Irish author Sally Rooney’s highly anticipated second novel. A love story of sorts, Rooney beautifully crafts the complex relationship between wealthy, unpopular Marianne and working class, well-liked Connell. The novel follows the two characters on-again-off-again relationship as lovers and friends, from high school to adulthood. Each character seemingly switching places with the other throughout, between self-confidence and certainty to unsettling detachment from themselves and their life. Rooney cleverly explores difficult aspects of the human condition - vulnerability, self worth, power, identity and learning how to love and be loved. Each concept is thoughtfully brought to life through these two extremely special characters, and it is with great ease that one becomes invested in their story. The novel is gently paced but the overwhelming drive to uncover more of both characters’ inner psyche and a compelling desire to discover whether or not their timelines will ever align and allow them to truly be together, makes for a gripping read. Normal People is by no means a 'normal' love story. What it is, however, is a stunning exploration of what it means to be human, and the power of love to change and heal lives. An aristocratic man of tradition and erudition is confined to hotel-arrest in Russia’s etropo. The country’s decades of horror affect the outside world. The man of luxury and freedom must now live out his days in an attic - with a whole world to be discovered and encountered in the hotel: An abandoned girl, a willowy actress, an austere party ‘comrade’. This story has a ‘coming of age’ feel to it: The gentleman must become a man - if he is to survive his confinement. The gentleman must master his circumstances, or be mastered by them. In stark contrast to outside Russia’s failing people experiment, the gentleman will learn that one does not need to influence the course of history, but instead rise to the challenges of caring for a child. The story is read with a constant smile, as one surveys the many lessons and heartaches that frame themselves from life’s intrusions of beauty. The smile glints and spreads with every witty and heartfelt conversation, with the many characters, and at every chapter of this wonderful book. This is a fast-moving social commentary on three women from three differing areas of today's society colliding. There is Emily, former assistant to Miranda Priestley (and yes, Miranda does have a great cameo piece) who is now a stylist-turned-image-consultant troubleshooter. She is being pushed out of her job identity by a millenial and her use of social media where the number of followers you have determine your wordly status (think Kardashian). Emily is also going through somewhat of a crisis in her long distance marriage. Then there is Miriam, an old friend of Emily’s, a high-powered New York lawyer who traded it all in for life in the very upmarket suburbs and more time with her family, but can she deal with the suburban hierarchical lifestyle that depends solely on how much money you have and the compulsory daily uniform of LuLulemons which does not correlate well with any intake of carbohydrates?Joining them is Karolina, a former supermodel married to a would-be politician and hands-on step-mother to his son who is abruptly and quite horrifically sidelined by him in favour of a younger more politically-connected partner. This is a very 2018 story that I read straight through as it grabs you immediately, then horrifies you with how the media can be manipulated - by a power-hungry man to destroy a woman, and then further manipulated by Emily to rehabilitate her image in the media (so many correlations that can be thought of here) whilst Miriam works on the legal angles and worries about her husband’s faithfullness. And then combine this with the strange lives that people live with too much money and not enough accountability both in suburbia and the city. The minutiae of suburban life is nothing new and nothing has really changed over the decades, apart from what was previously hidden from public view now being exposed by technology and the media. The story is nicely resolved at the end and is a very enjoyable read - Highly Recommended. In a world full of fictional crimestoppers who are little more than thinly-veiled superheroes, Jackson Lamb (the former MI5 operative at the heart of Mick Herron's dazzling new series of spy thrillers) is a welcome breath of stale air. Where a character like Jack Reacher despatches multiple enemies per page, often with improbably lethal efficiency, Jackson Lamb is content to let the fight come to him - or better yet, to avoid it altogether. In fact, if there's anything improbable about the character of Jackson Lamb it would have to rest with the question of how one man could be so cynical, sarcastic and flatulant, and yet so endearing. 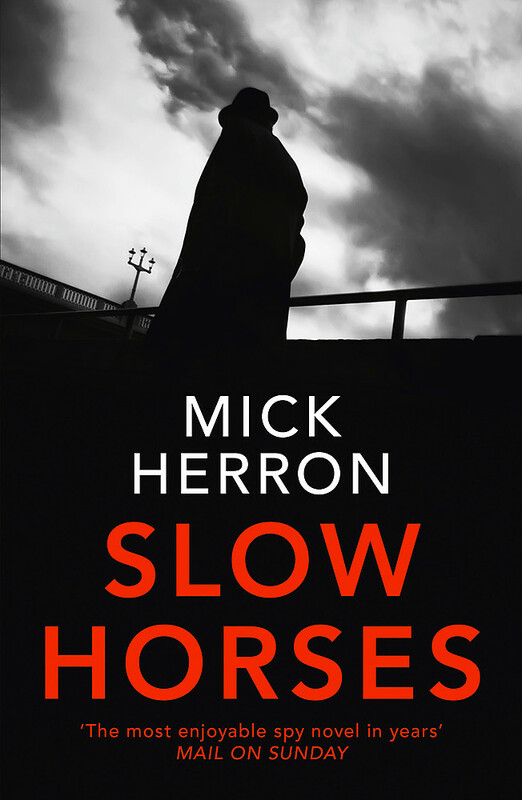 Already wildly popular in his native Britain, author Mick Herron is fast becoming a favourite with crime readers all over the world who can appreciate a bit of old-school grit with their crime fiction. Comparisons to the great John Le Carre are not without basis, but where George Smiley's deadly skill-set was often concealed behind a facade of genteel restraint, Jackson Lamb slips under the radar for other (less savoury) reasons. The bottom line: underestimate either one of them at your peril. A must have for lovers of old-school spy fiction. The good news is, once you finish, you can move straight onto the remaining two books of the trilogy! A novel that is at once sweeping and achingly intimate, Pachinko follows several generations of a Korean Japanese family throughout the 20th Century. The glue that holds the narrative together is Sunja, who at age 16 falls pregnant to a married man and ends up marrying a kindly Christian minister who moves their burgeoning family to live in Japan with his brother and sister-in-law. They did not know then that they faced poverty, decades of relentless prejudice from the Japanese and a political climate that would prevent them from ever returning home to Korea. Sunja's choices, made at such a young age, cast a shadow over her family's future. By the time we leave her in 1989, we are so familiar with the texture of her life – we have felt her shame and regret, her grief, her uncertainty as well as her sureness, her pride and joy, her contentment – that it becomes hard for us too to step out from that shadow. 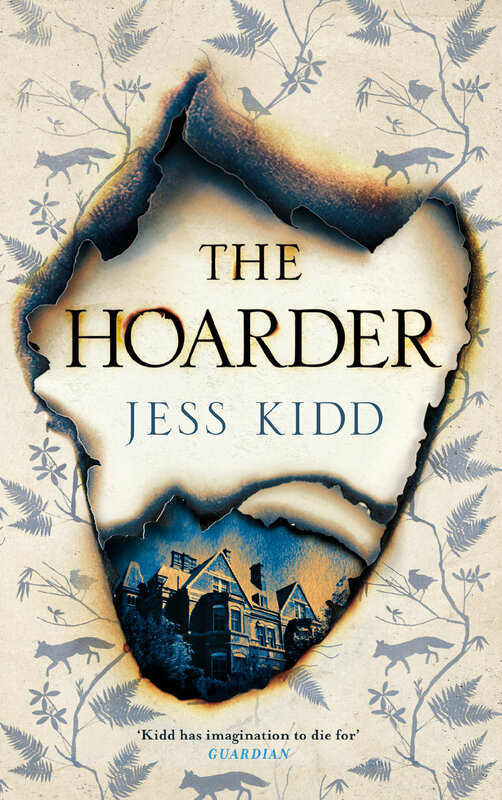 The Hoarder is a mysterious novel of superb characterisation, excellent wit and deceptive wordplay. Maud Drennan, a psychic carer faces the task of helping the cantakerous Cathal Flood clear out his grand home in West London. Flood has scared off past carers and lives with a menagerie of cats, a fox, endless jumble and a few ghosts of the past. Soon Maud finds herseld trying to uncover the mystery surrounding the house and its inhabitants, aided only by her agoraphobic landlady Renata and a legion on unhelpful ghostly saints. I'm jealous of people who get to read this novel for the first time. My first time was one of the most memorable reading experiences I've ever had. The novel alternates between two perspectives. Nao, a 16-year-old girl living in Tokyo and contemplating suicide, is writing a diary to demonstrate all the reasons why her life is no longer worth living but also to document the extraordinary life of her beloved great-grandmother, a Buddhist nun. Ruth, a writer living on the Pacific coast of Canada, finds a Hello Kitty lunch box washed up on shore and, inside, Nao's diary. It's a few months after the 2011 tsunami in Japan. Ruth becomes obsessed with Nao and desperately tries to find out what happened to her. Meanwhile, in the past, Nao carries on with her bitter-sweet everyday life. Ozeki masterfully plays with time, fact and fiction to create a story that is immensely satisfying. Autumn, the first post-brexit book to emerge, is a poetic exploration of love and loss amidst political disarray. It is a meditative novel that effortlessly drifts between the dreams, memories and present-day realities of its two main characters, Elizabeth and Daniel. A deeply humanist book, Autumn delves into the hopes and fears of its two protagonists as they work their way through a politically divided Britain, (simultaneously adding healthy doses of art-history and philosophy along the way, in typical Smith fashion). Autumn is the first in Ali Smith’s seasonal four-part series, and can be read as a stand-alone or alongside her latest offering Winter. Deeply relevant, and beautifully composed, Autumn is a must-read for anyone and everyone grappling with the current changing climate. Can all that one is - all that one's life amounts to - be captured in a single moment? It seems impossible, and yet, with his most recent novel, David Szalay has accomplished something almost as unlikely. He has managed to build a series of seemingly unrelated stories around those equally rare moments at which it feels as though something deeply significant - something life-altering - is at stake; those moments at which the very idea we have of ourselves and what we are capable of is either confirmed, or irrevocably shaken. The problematic nature (to put it lightly) of contemporary masculinity has been the subject of much debate in recent times, and rightfully so. What this book helps to remind us of, however, is the absolutely crucial role for challenging and ambitious fiction for such discussions. Clear-eyed and merciless in its depiction of male shortcomings, Szalay's book is nevertheless full of empathy for its flawed - but recognizably human - characters. What sets this apart from the typical 'man-in-crisis' novel is the length Szalay is willing to go to to uncover the hidden corners of its protagonists' inner lives. Bitterness, pathos and a hint of transcendence combine to make 'All That Man Is' essential reading. Ruth is 30, her fiance has left her for another woman and her brilliant academic father has been diagnosed with Alzheimer's. At a loose end, she acquiesces to her mother's suggestion that she move back in with her parents to help care for her father - but only for one year. The novel chronicles this year in spare vignettes, interlaced with records from a journal Ruth's father kept while she was growing up. Khong's prose demands to be re-read and relished. This novel may be slim but it is jam-packed full of achingly beautiful observations about family, love and uncertainty, balanced perfectly with a shrewd sense of humour that made me smile throughout. This debut novel is like a kick in the groin but also like a hand to hold. An unlikely combination but it's true. Turtle is a 14-year-old girl living on the fringes of Mendocino with her survivalist/philosopher father, who sexually and pschologically abuses her. Turtle has internalised and adopted her father's misoginy so deeply that her narrative is drenched in a confronting self-hatred. But when she grabs a glimpse of what a normal adolescence is like, she begins to realise that she cannot continue to be possessed by her father. The simmering tension throughout this novel is incredibly arresting - I read this within 24 hours. Comparisons have been drawn to A Little Life by Hanya Yanagihara as this novel also requires a trigger warning for sexual abuse and childhood trauma. The author has said, "I wanted to write her so that the damage we do to women would appear to you, as it appears to me, real and urgent and intolerable." I believe he has achieved this. So if you're comfortable with psychologically preparing yourself for some harrowing scenes then I urge you to give this one a go. One of my favourite fiction reads of 2017. A brilliant book, this is a fictional autobiography by multi-award winning novelist, Alex Miller. Commencing with Robert Crofts as an old man pondering whether he will write again, he thinks about his youth and the memories flood back…Originally from London, Robert arrives in Melbourne as a penniless stockman from the Queensland outback looking to find his real purpose in life, which is to be a writer. He meets Lena Soren, beautiful, educated and wealthy. Complex and passionate, she recognises in him a freedom, which she desires and immediately falls in love with. The story chronicles their challenging relationship over the years as he struggles to establish himself as a writer and she struggles to break free from her restrictive middle-class upbringing and to find her own creative identity. Written with deep insight and intelligence this is a wonderful novel exploring the complexity of relationships, love and the need to find individual creativity and identity with in that. A truly great and fulfilling read. A beautifully written novel by multi-award winning author Steven Carroll about love, life and what might have been. It tells the story of Emily Hale - muse, confident and friend but never wife of TS Eliot. The story takes place one day as Hale, in her old age, remembers and reflects on key events in her life with TS Eliot. How they fell in love in their twenty’s when he was just ‘Tom Eliot’, and were meant for each other but time, place and social history kept them apart. This is the third novel in Carroll’s ‘Eliot Quartet’, each evolving around one of the Four Quartets by TS Eliot, it follows The Lost Life and the award-winning A World of Other People. Perfectly capturing an earlier period in time when emotions were repressed and things left unsaid, this is a poignant and moving novel about love and memories of how different things might have been. 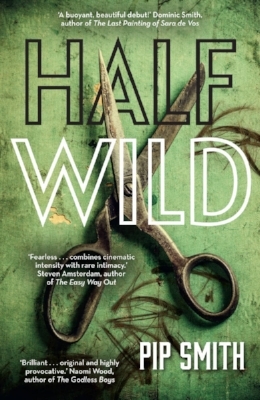 If your recent reading has been mediocre then here is a cracking story to restore your faith in books.Half Wild is an utterly absorbing fictionalisation of the fascinating 'lives' of convicted murderer Eugenia Falleni.